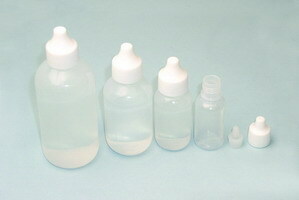 Polyethelene dropper bottles in various sizes.Removable dropper tips allow refilling. Screw on polypropylene cap. Dropper control tip snaps into place for a secure fit. Leakproof even under pressure.